Having written yesterday about the Menin Gate I am continuing the theme of the involvement of the British Army in the First World War. Courtesy of Ray Hayden who was honouring the memory of relatives, I am publishing these pictures from the ecumenical service in County Offaly where a new memorial was unveiled to the members of the Prince of Wales’s Leinster Regiment (Royal Canadians) based at the former Crinkill Barracks near Birr. The regiment was formed in 1881 and their depot was based at Crinkill barracks. The Leinsters occupied one square of the barracks whilst the second square was occupied by visiting regiments. The average length of stay was one year. During the first world war recruitment in Birr resulted in a constant flow of recruits from the surrounding area for the first eighteen months. After that there was a steady decline. Nearly 6.000 men in total were recruited. In 1917 an aerodrome was built on the 14 acres site and three planes were kept there. The Regiment raised seven battalions for service with the British Army during World War I, which saw action on the Western Front and in the Middle East. The 1st Battalion served with the 27th Division and the 10th (Irish) Division. The 2nd Battalion with the 6th Division, 24th Division, 16th (Irish) Division and the 29th Division. 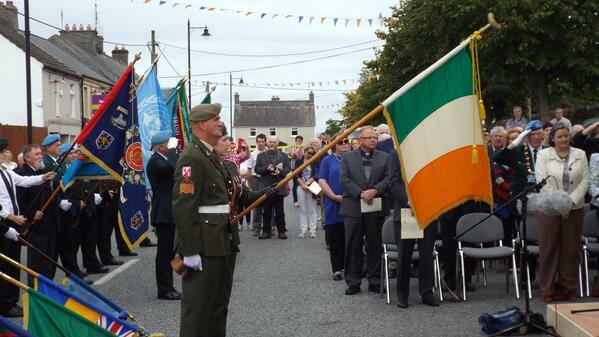 The 6th Battalion served with the 10th (Irish) Division, 14th (Light) Division, 34th Division and 66th Division. 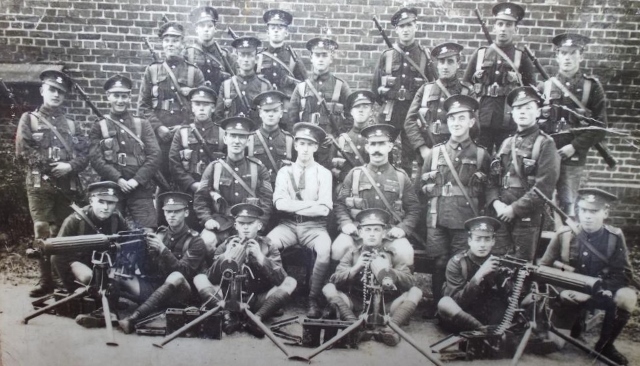 The 7th Battalion with the 16th (Irish) Division. The Anglo-Irish treaty was signed in December 1921 and on March 11th 1922 the British Army issued orders for the disbandment of the Prince of Wales’s Leinster Regiment along with five other corps and infantry battalions. The regimental colours were laid up at St George’s Chapel in Windsor Castle. Soon afterwards the IRA 3rd Southern Division took control of the barracks and on 14th July 1922 they set fire to the barracks. The ruins became dangerous and in 1985 all internal buildings were demolished, including the landmark clock tower. All that remains today are the perimeter walls and gates. The new memorial is situated beside one of the walls. 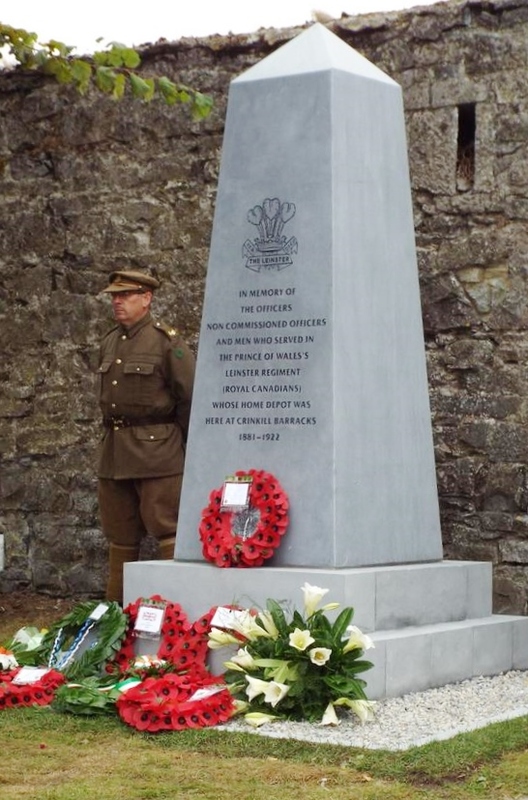 Among those who attended the ceremony at Crinkill were the government Chief Whip Paul Kehoe TD and Major General The O’Morchoe CB CBE, President of the Leinster Regiment Association and President of the Royal British Legion (Ireland) and local Fine Gael TD Marcella Corcoran Kennedy. This was part of a weekend of events in the Birr area marking the connection with the Leinsters. 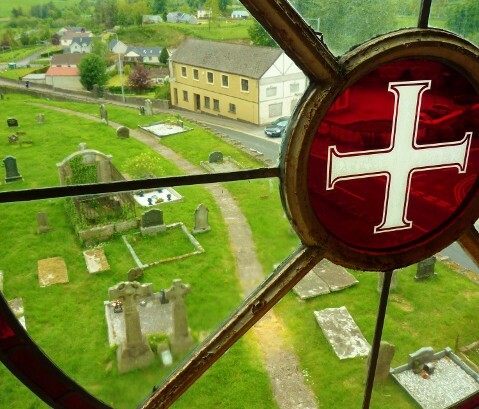 In Birr there is a memorial window for the Leinster Regiment at St Brendan’s church. 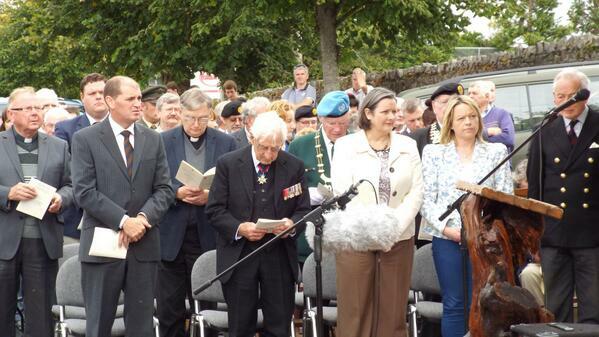 A delegation from the Belgian town of Ledegem in Flanders came to Offaly and laid a wreath at the new memorial. 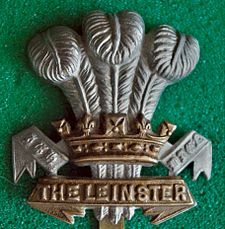 On October 14th 1918 in a fierce engagement resulting in the award of two Victoria Crosses to Leinster Soldiers, the 2nd battalion Leinster Regiment led the advance into Ledegem on the first day of what is now known as the Battle of Courtrai. In that advance the Leinsters, supported by the 4/Worcesters, cleared the town of enemy forces and in so doing ended the four year occupation of a community that had become a major supply depot for the German occupation in West Flanders. thanks for this . still trying to establish my grandfather’s history Charles Edward Cushing ( Cushion / Cussen ) in Birr prior to WWI ( 1911 ) and up to May 1915 KIA with the Leinsters . There could have been two soldiers with same name at Crinkall in 1911 ! 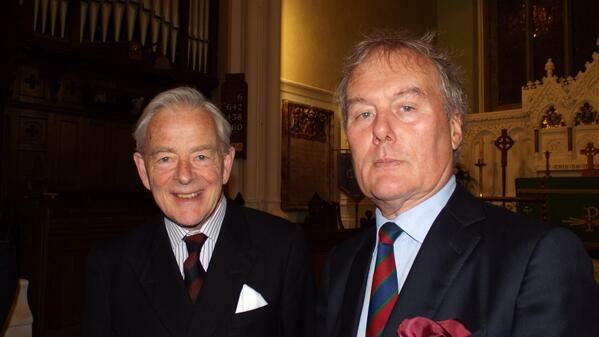 I am the grandson of Thomas Cox leinster reg Birr Offaly. I am head of the Irish orthodox catholic church.my family live near the barracks. 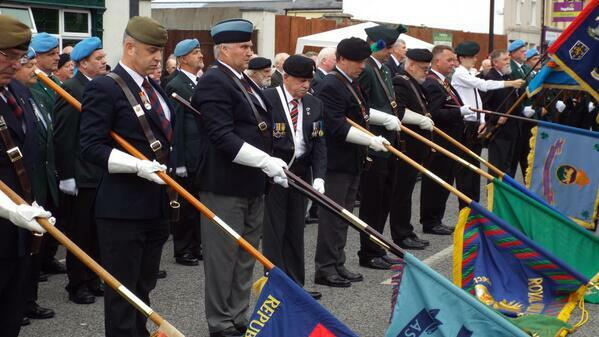 I am an ex Irish soldier signals. may they rest in peace with Gods love. Was Thomas related to Patrick Cox who was my grandfather and lived laterly on New Rd Birr? My grandfather was James Robbins, pte 8034 Leinster Regt. Lost his life in France 20/10/1914. Never known but always remembered. Is his name recorded anywhere on a memorial in Birr.